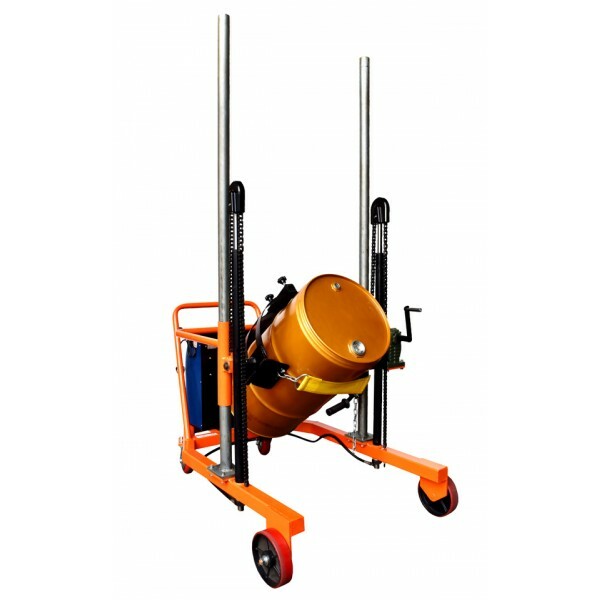 * For lifting, turning, mixing, emptying and transporting drums. 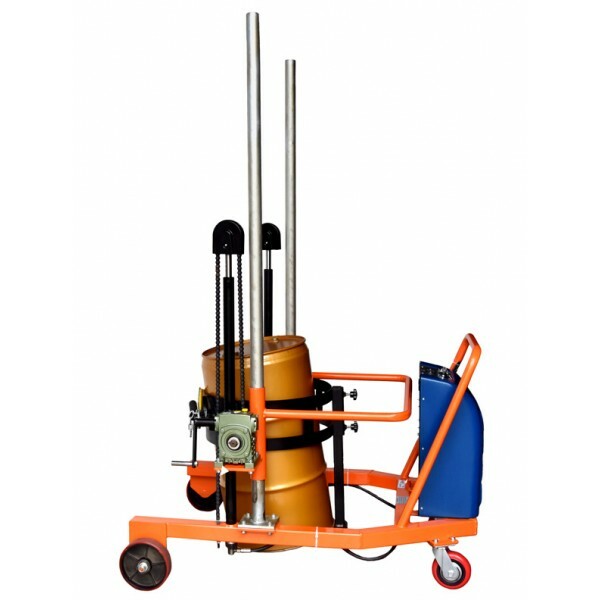 * Hydraulic cylinder with pipe breakage protection. 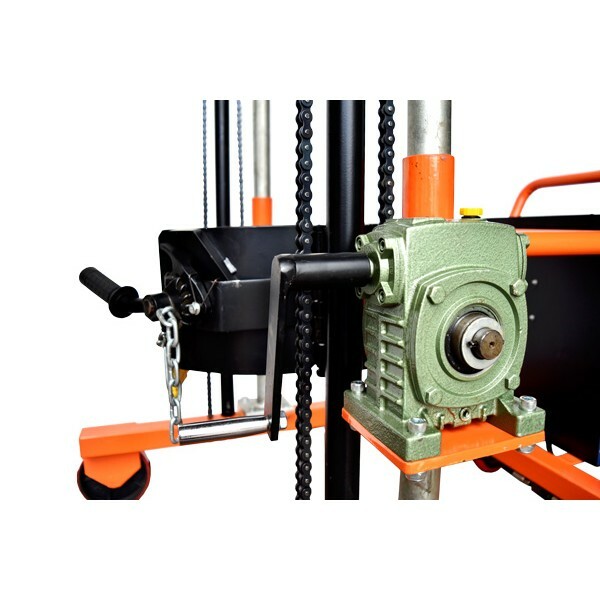 Hydraulic lifting with Pedal. Drums are turned with hand crank. 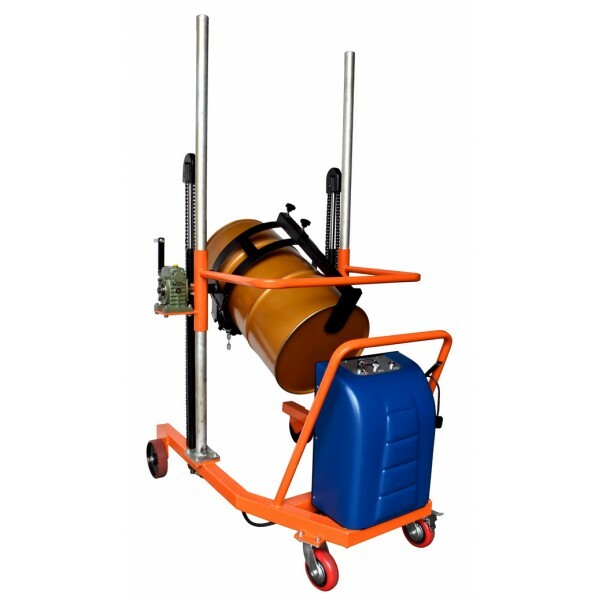 2 castors, 1 swivel castor with wheel stop, solid rubber wheels. * For 200 litre steel drums with rolling hoops. * For plastic and steel drums, Φ 400-600mm.